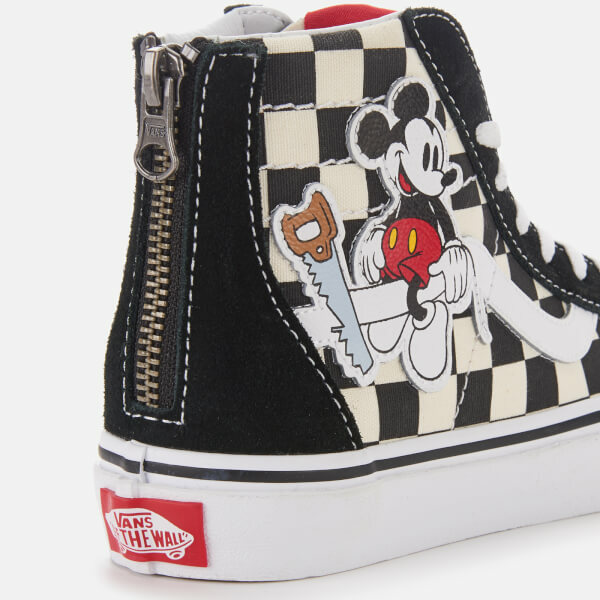 Checkerboard Sk8-Hi trainers from Vans’ collaboration with Disney. 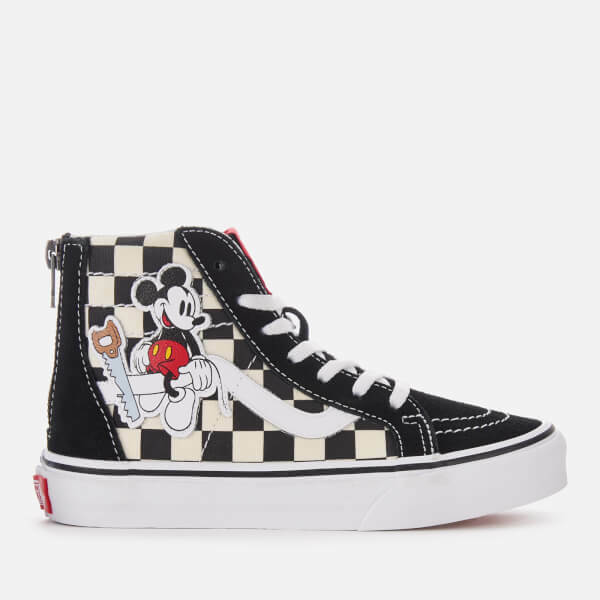 Celebrating the 90th anniversary of Mickey Mouse, the kids' high top sneakers have a playful spin on the iconic Vans sidestripe with Mickey Mouse sawing through it. 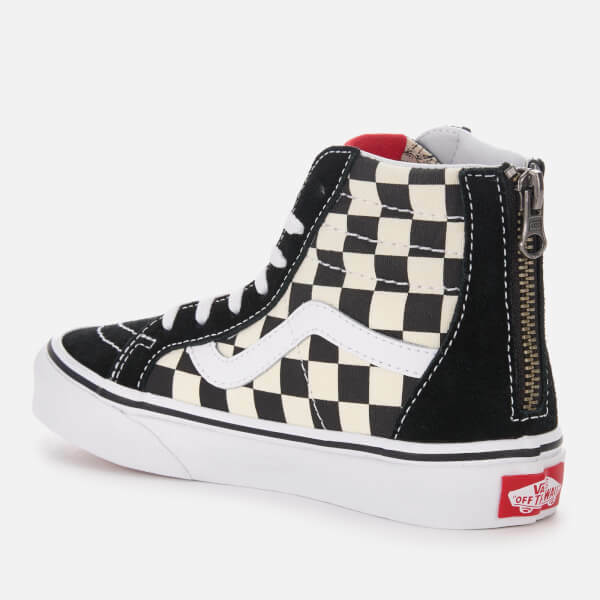 The lace fastened sneakers have checkerboard canvas sides and contrasting black suede details. A zip at the back of the trainers enables them to easily be pulled on and off. The high tops sit on a white rubber midsole with the brand’s signature waffle outsole. 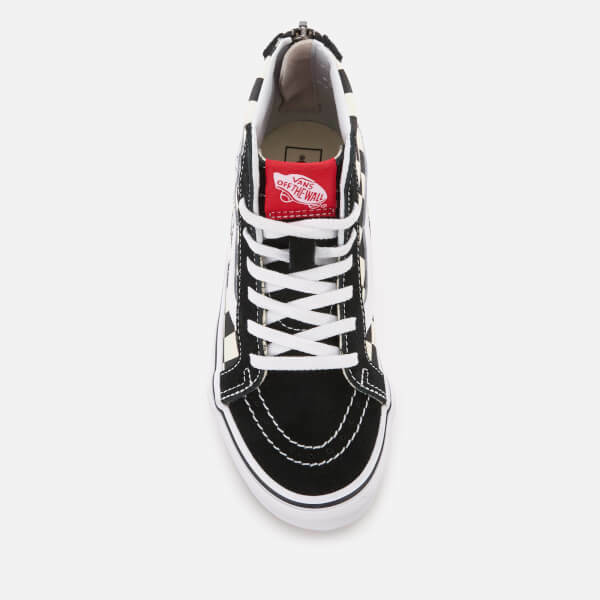 Complete with a Vans ‘Off the Wall’ licence plate on the heel and contrast white stitching throughout.